STAGE is a shared ecumenical youth program formed by Presbyterian, Lutheran, and Methodist churches in Berkley and Royal Oak. 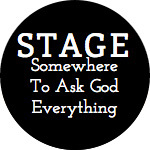 STAGE, which stands for "Somewhere To Ask God Everything", was formed in 1999 and is a youth ministry shaped around FUN, SERVICE, COMMUNITY, and FAITH. STAGE’s mission is to share the love of Jesus Christ with all middle and high-school youth so they may experience God’s love, develop healthy relationships, praise God, grow in faith, and learn to serve others. A typical Sunday night meeting takes place at Cana Lutheran, the church next to Berkley High School. At regular meetings we play games, discuss relevant topics, do group challenges and activities, and try to grow into the loving and accepting community God calls us to be. Special events such as Lock-Ins, Service Projects, Retreats, and more build on our goals of having FUN, doing SERVICE, being a loving COMMUNITY, and growing in FAITH. Do you have a 5th – 8th grader ready to develop a relationship with God? FROG week is a great way to introduce him or her into our STAGE Youth Ministry program. FROG stands for Friends Reaching Out for God and this exciting week of service is all about learning to develop healthy relationships, learning to serve others, and learning about what our STAGE program has to offer. The week starts out with a community service project and fun activities, followed by an overnight camp out that ends the week. Participation involves a small fee, a willingness to get dirty and the desire to play hard. 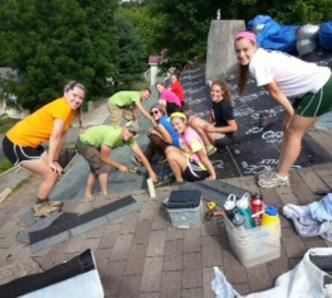 For information on this year’s event, contact Nathan at stageyouth@gmail.com or 517-410-5147.